NEW ARRIVAL HERE AT BOYLES AUTO SALES IN JASPER, AL!! A 2011 Chevrolet Traverse LT! 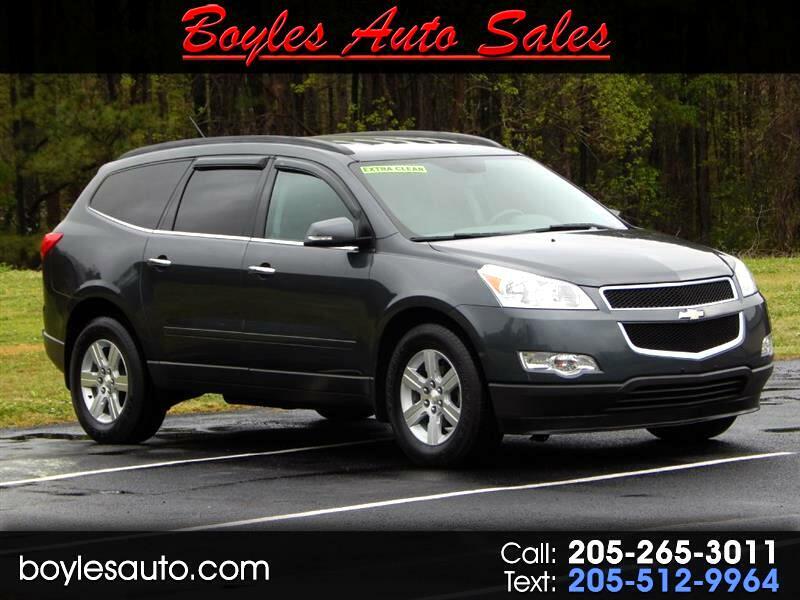 Take a close look at this Immaculate 2011 Chevy Traverse LT that just arrived here at Boyles Auto Sales. We've just had it serviced so you're ready for the road. This Traverse drives and handles Great, and with 3rd row seating you've got room for the whole family. Nicely equipped with All power, 2nd Row Bucket Seats, Keyless Remote, Onstar, Tilt Steering, AM/FM/CD Radio, and much much more. Looking at the interior, you can see that the previous owner took excellent care of this vehicle, and the exterior is as smooth as glass. Make the short drive to Boyles Auto and see this Traverse LT for yourself. You'll be impressed!! We offer bank and credit union financing here at the dealership with Low Low Rates, so you can drive this Traverse home today. Call Randy at 205 269 3196, or Scott and Tucker at 205 265 3011. Visit us online at www.boylesauto.com to see others like this one, or to fill out an credit application for faster financing. Thank You for looking.